Zoren Hops invites you to join us on Nepal Agritech-2017 from 17th- 19th February at Bhrikuti Mandap Kathmandu Nepal. Zoren Hops invites you to join us on Nepal Buildcon-2017 from 10th February to 12th February at Bhrikuti Mandap Kathmandu Nepal. Zoren Hops Taking participation in 2nd Nepal Buildcon-2016, from 8th April to 11th April 2016 at Bhrukuti Mandap, Kathmandu Nepal. Zoren Hops Taking participation in 2nd Bangladesh Buildcon-2016, from 26th May to 28th May 2016 at International Convention City, Bashundhara, Dhaka. 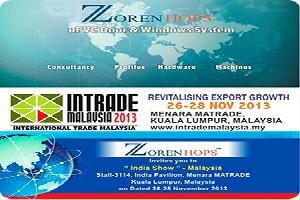 Zoren Hops Taking participation in 12th International Trade Fair on Door & Windows from 10th to 13th December 2015 at Mumbai India. 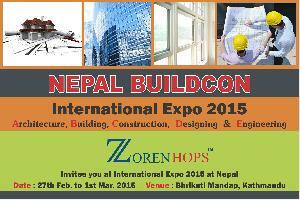 Zoren Hops Taking participation in Nepal Buildcon, from 27 Febuary to 1st March 2015 at Kathmandu Nepal. In January 2015 Zoren Hops started its Micro Brewery Segment in India. 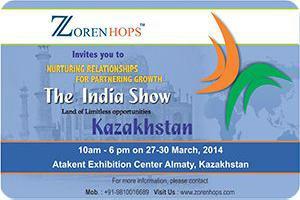 Zoren Hops Taking participation in CAI Show at Chennai Trade Center, Chennai. August 2014. 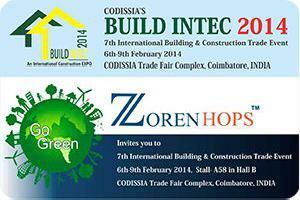 Zoren Hops Taking participation in Wood Tech India 2014 at Chennai Trade Center, Chennai. August 2014. Zoren Hops Invites you to in CAI Expo-2014, from 15th August to 17th August 2014 at Chennai Trade Center, Chennai. Zoren Hops Invites you to in Wood Tech India-2014, from 23rd August to 25th August 2014 at Chennai Trade Center, Chennai. Zoren Hops Invites you to in Futurex Door & Window Expo from 3rd October to 5th October 2014 at Colombo, Srilanka. 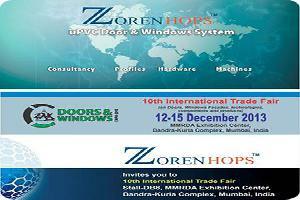 Zoren Hops Invites you to in ZAK Door & Windows Expo-2014, from 5th to 7th December 2014,Hall No. 18, Pragati Maidan, New Delhi. 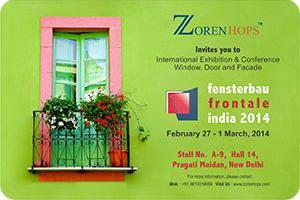 Zoren Hops Invites you to in Fensterbau Frontale India 2015 from February 26th to 28th February 2015, Bangalore. Zoren Hops Invites you to in Futurex Door & Window Expo from 27th February to 1st March 2015 at Kathmandu, Nepal.